Milo James Fowler kindly invited me to join a series of giveaways he's linking to from his blog, In Medias Res. Hop on over to see the other great authors raffling off books each Friday in December! I thought it would be fun to offer both of the Webrid books (that is, one reader gets both Green Light Delivery and Blue Diamond Delivery) in any ebook form preferred by the winner. The Giveaway is up and running, and the winner will be chosen on Friday, December 20. The theme of my giveaway is Unlikely Heroes. Webrid never wanted to be the star of adventures, or risk his life, or get off his couch for that matter. Yet, time and again, fate swoops in and forces poor Webrid to fight the good fight. 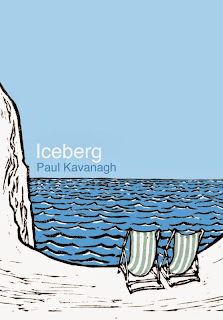 My guest this week is Paul Kavanagh. According to one critic, his dystopian novella Iceberg exhibits "scabrous innocence and scarifying pathos." Yes, that's meant as a compliment. The author shares some thoughts with us here. Or maybe it's one long thought. 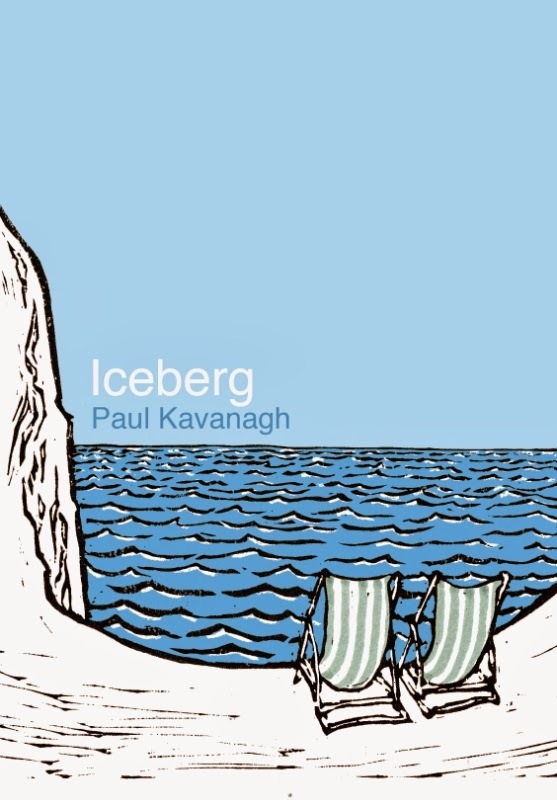 You can purchase Iceberg on Amazon. Who doesn't like to expand their knowledge of monsters? Edita Meadows complies with this fascinating description of the very scary-sounding creatures called Aswangs, which feature in her novels. 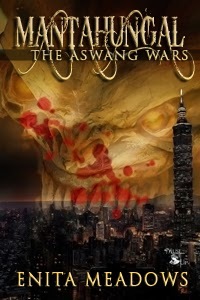 The “tricky” part is that my Aswang Wars trilogy is about aswang, a type of shapeshifting demon. They don’t burn (or sparkle) in sunlight, they aren’t weak to a stake through the heart, and they don’t sleep in coffins. But they do drink blood. They do change their shape. They are nocturnal. So are they vampires? Or are they not? I spent many sleepless nights researching these ghouls of Philippine folklore while writing the Aswang Wars. Their lore is completely separate from vampire myth, existing before the introduction of western cultures. There are similar ghouls in surrounding areas like Indonesia and Malaysia, but none as profound and culturally influential as the aswang is to the Filipinos. But what is an aswang, exactly? Essentially, an aswang is a creature which takes an unassuming form during the daytime only to transform at night and feed off humans for their blood or internal organs. The word aswang in the Philippines covers a wide array of ghouls and monsters, but most share common traits, such as a taste for human blood/entrails, some form of shapeshifting, and a trademark cry described as a wak wak or tik tik. An aswang can be many things during the day; usually a beautiful young woman, and other times an animal, the most common being a black cat or dog, a large pig, or a bat. They have proboscis tongues capable of stabbing clear through human skin, a voice that is louder when far away but softer when nearby, and have a knack for snatching up small children and even unborn babies straight from the mother’s womb. In The Aswang Wars, the main character is one of these creatures, who has forgotten his true nature and everything about himself and the aswang world. He knows only his name, Jei Rivera, and nothing else. When an aswang named Malaya comes along to tell him not only is he an aswang, but the most vital part of the battle between warring clans, he’s thrust back into that world with his only true motivation being to learn about the past he’s forgotten. Although I put my own twists on the aswang while molding them for the story, a lot of honest research went into the creation of the Aswang Wars trilogy. On top of that, there was a lot of discovery to be had about these blood-suckers during the writing process itself. I learned what it was like to think from a monster’s point of view, and found the distinct differences between aswang and vampire to be too great to categorize them so closely together. Aswang are monsters, all on their own. They’re not infected with their condition. They’re demons, from birth to eventual death. Despite feeding on blood and changing shape, there’s not a lot to justify the aswang to be categorized as a “vampire” at all. In fact, maybe the vampire should instead be categorized as a type of aswang. Let’s just hope there aren’t any walking among us tonight. Learn more about Enita Meadows on her website. 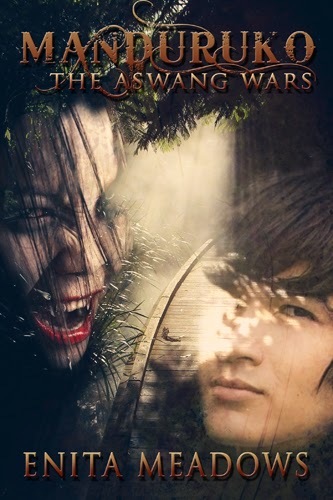 Purchase the Aswang Wars series on Amazon.